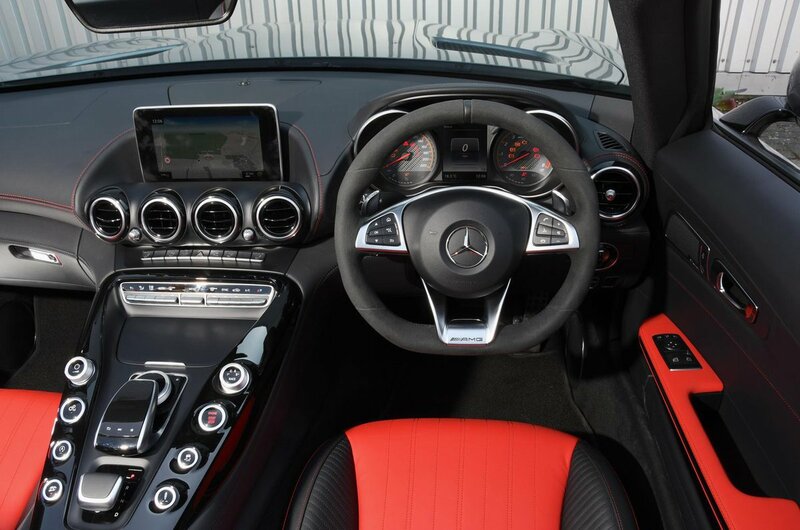 Mercedes-AMG GT Roadster Interior, Sat Nav, Dashboard | What Car? The interior of the GT Roadster looks almost as dramatic as the exterior, thanks to a bulbous and curvy centre console that fences the driver off from the passenger. 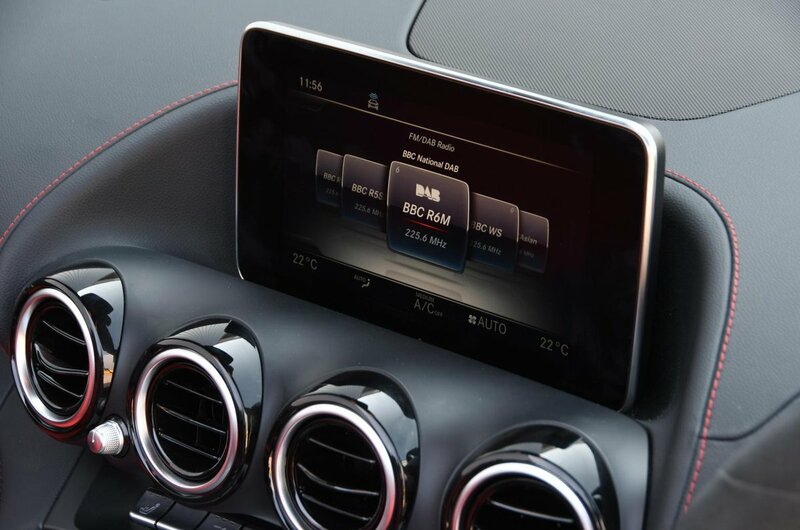 On that console, you’ll find a myriad of buttons and switches to change the character of the car; among other things, you can adjust the responsiveness of the accelerator, the speed of gearshifts and the volume from the exhaust. 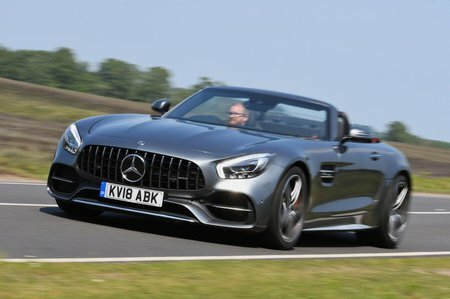 Fortunately, it’s not as complicated as it looks at first glance, and the infotainment system is standard Mercedes fare, which means most major functions are easy to operate, even if the secondary menus aren’t as intuitive as those found in a BMW i8 Roadster. There’s also lots of seat and steering wheel adjustment to help drivers of different sizes get comfortable, and the seats themselves are supportive. However, rear visibility is quite limited with the roof up, and the door mirrors are mounted high up on stalks where they can obstruct your view at roundabouts and junctions. Oddly, the gear selector is positioned closer to your elbow than your hand, making it a pain to switch back and forth between drive and reverse - as you sometimes have to when parking.